UHS recently extended hours for sexual assault services. 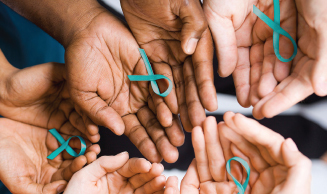 If you were sexually assaulted or are unsure whether you were, we recommend that you contact UHS and discuss your options with a Sexual Assault Nurse Examiner (SANE). Is offered when UHS is open except weekends, holidays, and half-days (when UHS is open just 9 AM - noon, typically around holidays). Patients should go to the U-M Emergency Department on those days. If you are seeking a Sexual Assault Nurse Exam outside of the available hours at UHS, these exams are available 24/7 at all area hospital emergency departments (such as Michigan Medicine or St. Joseph Mercy Ann Arbor).  Individuals who are affiliated with the University of Michigan are eligible for this service. When possible, call 734-764-8320 before arrival so we can advise you and prepare for you. Do not wash or bathe at all. Do not eat or drink. Do not change clothes, or if you do, bring your old clothes to the exam for collection. You can bring new clothes to wear after the exam. If you have already done any of the above, you are still eligible for evaluation, treatment and evidence collection if desired. You will not get in legal trouble for using alcohol or other drugs at the time of the assault. Many people who are under legal age for drinking or who have used drugs fear legal trouble and are hesitant to talk to care providers or law enforcement. Our goal is to provide care for your physical, emotional and safety needs. There is no fee for the sexual assault exam at UHS. There is no fee for preventive medications if the exam is done within 120 hours after assault. Exams will not be billed to your health insurance without your consent. An advocate can provide support and information to help you make the best decisions for yourself, however you do not need to speak with an advocate if you decide you don’t want their services. If you are a U-M student, faculty or staff, your advocate would be from Sexual Assault Prevention and Awareness Center (SAPAC). For anyone else, your advocate would be from SafeHouse Center. We encourage you to report to law enforcement and to participate in U-M’s internal review process (where it applies) but you don’t have to -- it’s your choice. You can have an exam and treatment without reporting. Also, you don’t have to make a decision about reporting at the time of your exam. If evidence is collected as part of your sexual assault exam at UHS, police will be contacted, however it’s your choice whether to share any information with them or to file a police report. If you file a report later, it can be helpful to have any evidence collected for your case. If you choose not to file a police report at the time of the exam, your evidence will be retained for one year. In compliance with Title IX, colleges and universities participating in federal financial aid programs are required to maintain and disclose campus crime statistics and security information. These reports do not include identifying information. UHS has adopted Start by Believing, a public awareness campaign designed to improve response to sexual assault in our communities. Knowing how to respond to disclosure of sexual assault is critical, so UHS staff have received training to Start by Believing. Call 911 if you are in danger or fear for your physical safety. If it is not an emergency, you can call the U-M Police at 734-763-1131. Faculty and Staff Counseling and Consultation Office - For staff, faculty and their immediate family members; provides short-term counseling, personalized coaching and educational presentations. 734-936-8600. Michigan Medicine Office of Counseling and Workplace Resilience - for Michigan Medicine employees; 734-763-5409.